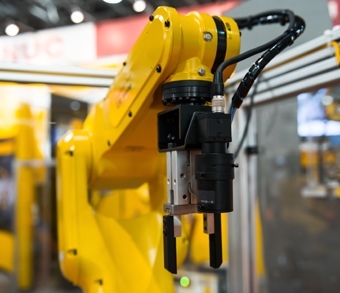 A major manufacturer of forklifts, warehouse trucks and mobile consumer products needed a rotary angle sensor for controlling the position of the platform of a line of forklifts. The forks can be turned ± 90 degrees. 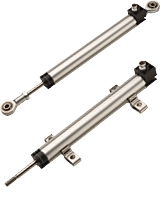 The RFD 4000 Series allows precise measurement and long life as it incorporates touchless technology using a magnetic pickup and sensing device. 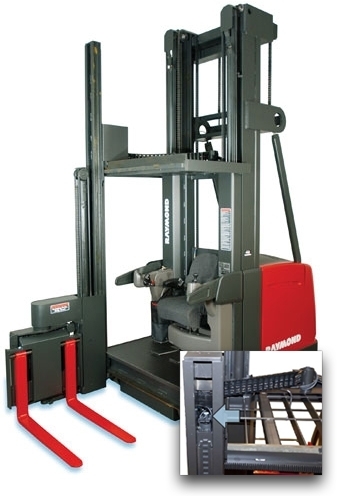 The Raymond Corporation’s 9000 Series Swing-Reach® lift features quick acceleration, smooth direction changes and quiet, precise traction and lift. 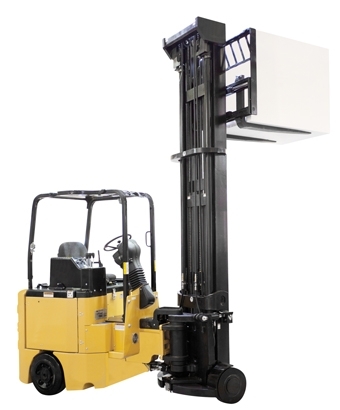 Raymond needed a reliable position sensor for their lift truck. Two of the design criteria for the sensor were multi-turn and non-contact capabilities. Novotechnik’s RSM 2800 met Raymond’s functional requirements, measures angles down to the last degree and counts turns – even without power. This angle sensor is an integral part in the Raymond system that swivels and travels back and forth while tracking the location of the mast, especially center crossing and approaching endpoints, all while measuring velocity.